Steel shanks and firm heel counters provide stability through the walk cycle, helping to prevent falling from uneven gait. Added shoe depth creates a wider toe box for movement, and the easy addition of custom orthotics. Full leather lined on most shoes for breathable comfort. 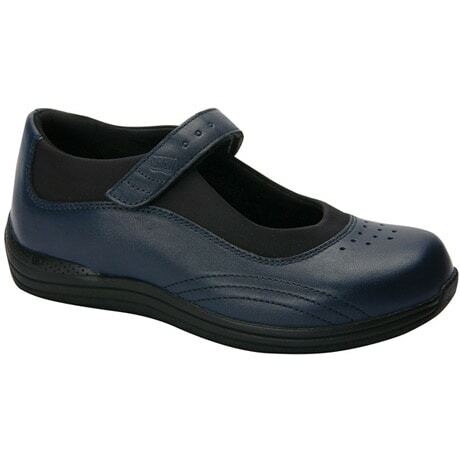 Enhance spine, hip, knee alignment by wearing Drew® shoes. Proper alignment aids in pain management, and can make it possible to walk more throughout the day. 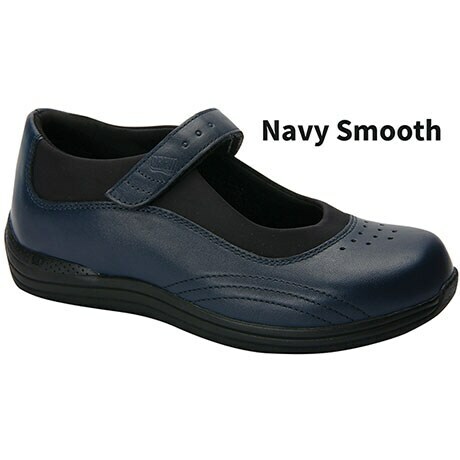 Slip-resistant and lightweight outsoles, padded, removable footbeds for traction and comfort. When it comes to casual shoes, form and function are equally as important as style and design. Drew casuals combine all of those essential elements into some of the most comfortable, high quality leather shoes you'll ever slip on your feet. >From firm heel counters, flared rocker bottoms and wide steel shanks, to soft, padded tongues and collars, Drilex® linings -- every part of the shoe's construction is designed to help keep your feet feeling great. Each of these styles feature two removable, dual density insoles that mold to the shape of your feet, and Velcro® closures or speed lacing for maximum adjustability and easy on/off. ¾" heel rise.